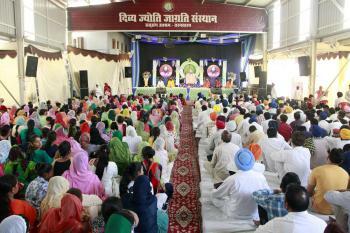 19th march was THE auspicious day when the ‘Gyan Amrit’ of four day Hari Katha took off in Punjab. On the occasion of the very first day, the hymns of Vedas purified the entire environment and set the stage to imbibe the Katha effectively. 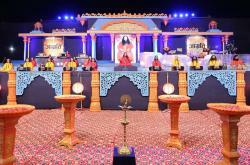 Decoration themes of stage were undoubtedly magical. 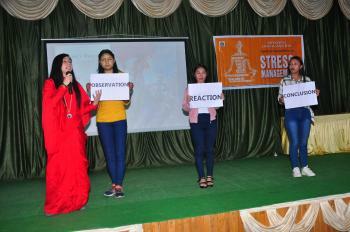 It was accentuating the whole venue with creative themes on each day. 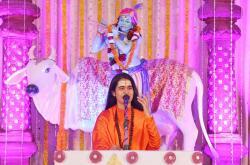 The blissful inspirational songs (bhajan) were electrifying and recharging the human minds among the august gathering. 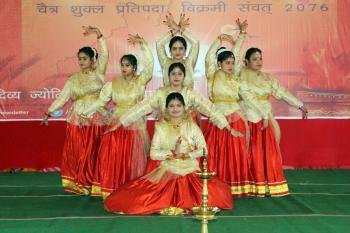 The whole Katha took place at SBS Nagar, Punjab. 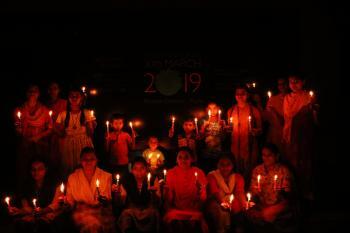 The katha was organized by Divya Jyoti Jagrati Sansthan (DJJS), a socio- spiritual organization engaged in the upliftment of human beings at various levels. 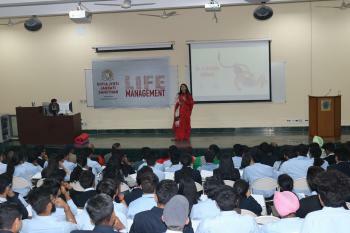 The special guests of honor present over there were Shri Yograj, forest officer, Ram Prakash and Punjab police. 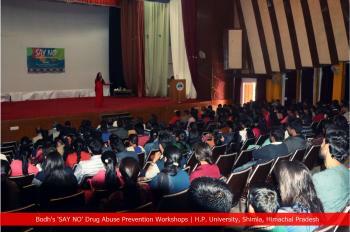 They indulged and enjoyed the spiritual dose given by the katha orator and her team. Katha orator Sadhvi Saumya Bharti Ji explained Hari Katha in a concise but effective manner. 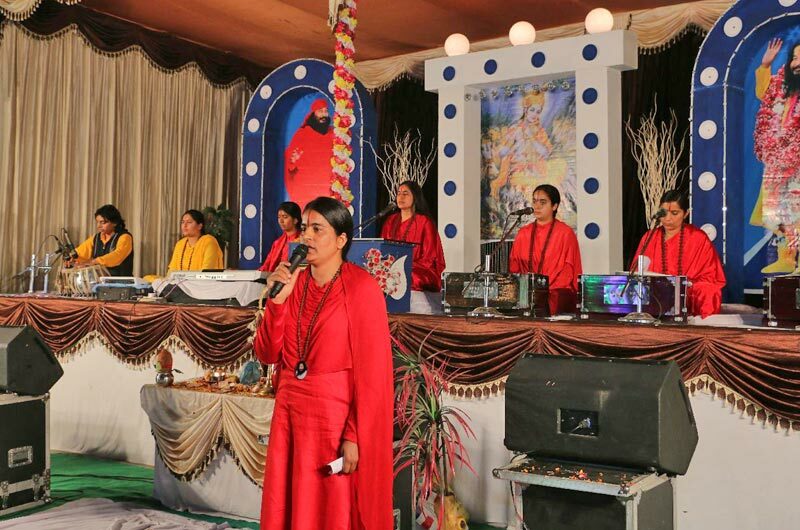 She delivered the whole scenario session amazingly; everyone was mesmerized and the link between disciple daughter of god and the devotees was seen from the very first day. She said that what we are doing is not what GOD wants from us like discrimination on the basis of gender, caste and religion. Our almighty treats us as one. HE adores us as one than why do we create conflicts but it’s not a cake walk to transform the minds of people. The only therapy for this is awakening you inner self. This body of flesh on which we spent our entire lifetime in dressing up and decorating is definitely not our soul’s identity. Our soul identity is the GOD present within us and to see him, we need a perfect self-awaken master. Only a self-awakened master can awaken the human being and a perfect master doesn’t entangle us in the web of fake talks and theories but also practically show us. The whole and sole way to awaken our inner self is possible through ‘BRAHAM GYAN’ only. It shows us the true path and helps us in travelling the journey of ME to real I (lord). 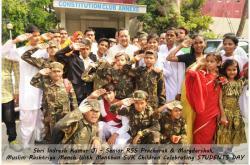 DJJS founded and headed by Shri Ashutosh Maharaj ji does two gigantic jobs for welfare of society. On the one hand is the social project run by them like Santulan- gender equality program, Peace- it is a holistic self-development program, Antarkranti- prisoner reforming and post-release rehabilitation program etc. 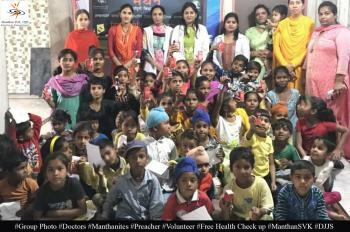 and on the other hand, helping people to realize GOD practically with the help of ‘Braham Gyan’ (An eternal technique to open the third with the help of true master). Katha ended on March 22 but all the hearts and souls were filled with the shades of spiritual richness present in our wholly scriptures.